Getting your home under contractcan bring a huge sigh of relief, but one of the most important steps that soonfollows is the home inspection. Most sellers worry about what might be found onthe inspection, nervous that a buyer will walk away or that they will be facedwith unexpected additional expenses. While the steps below won’t address majorissues that will show up on an inspection, many of the issues reported are onesthat could easily have been remedied during a weekend spent with a few tools, lightbulbs and cleaning supplies. For many buyers, the sheer number of minor itemson the report may cause unnecessary concern. Following these ten steps toprepare for a home inspection may mean the difference between placing a “Backon the Market” or a “SOLD” sign in the yard. Clean the house. While this mayseem obvious, its importance cannot be over-stressed. Cleaning involves morethan running a vacuum cleaner through the open pathways around furniture.Although the home should have been prepared for showings by de-cluttering andremoving unnecessary pieces of furniture, it is especially important to do thisbefore the home inspector arrives. 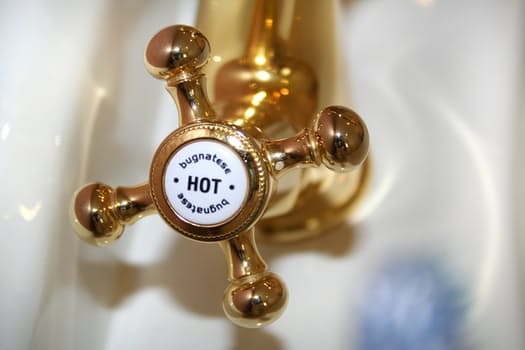 Areas around the furnace or water heatertend to collect seldom used items. Not only do these items present a possiblesafety and fire hazard, they also make a nice home for unwanted pests. Don’tstop with the house, but prepare for your move by cleaning and getting rid ofthings you no longer need from theattic and garage. The garage can become a pre-staging point for the move withmountains of boxes, but this prevents the inspector from being able to do athorough pest and termite inspection. After removing items and packing themaway, or tossing them, clean these areas and remove spider-webs. Making areasof the garage, attic and mechanical areas accessible will allow the inspectoraccess to do a quality inspection, and it will likely improve his mood. 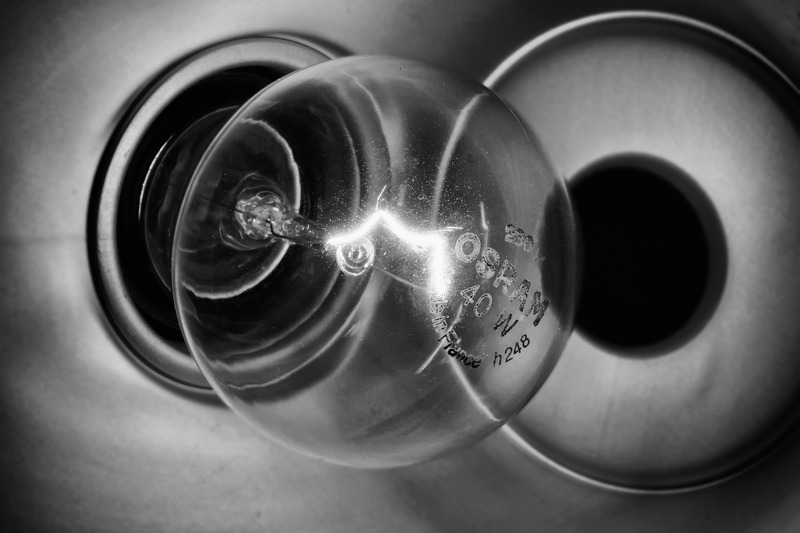 If the home inspector flips theswitch and the light doesn’t come on, they likely won’t take the time toreplace the bulb. Instead, they may note that the light wasn’t operational atthe time of the inspection and may not work. Go throughout your house andreplace bulbs that are out. Don’t just look in the rooms, but check closets,the refrigerator, the attic, and the vent hood. Sometimes owners growaccustomed to a room that gradually dims, so check all multi-bulb fixtures,such as chandeliers and bathroom fixtures, to make sure that every bulb works.Before you leave for the inspection, turn all the lights on. Make sure all the pilot lightsare ignited, especially a gas fireplace or pool heater that may have beenturned off for the winter. Again, the inspector will likely not take the timeto light them, but will instead make a note that they are not operational. Ifyour home is vacant, it is especially important to make sure that the gas heator gas range are ready to light up. If you have an induction cooktop, make sureto leave a pot on the cooktop with a note that the pot needs to be on theburner for it to be operational. If you pay for a twice-yearlyHVAC service, schedule your service technician to come out prior to the homeinspection. During the routine service, the HVAC technician will be able toidentify and correct any minor issues and make sure all switches are on. Leavea copy of the report on the table for the home inspector to see. Clean allreturn air filters by removing the metal grate and spraying it off with a waterhose, replacing the filter with a fresh one. Many reports contain descriptionsof leaky faucets or toilets that run. Do a careful inspection of each faucet, making sure that the handles are tightand the faucets don’t drip. Look under the sinks or cabinets for signs ofcondensation or water, which can be an indication that there is a leak. Checkthe showers to make sure that water comes from the shower head itself and notthe connection between the pipe and the shower head. Flush all toilets and makesure that they fill correctly. Clean the bowls of the toilets to remove anyrings or stains. Make sure that toilets aren’t leaking by flushing and thenwiping the floor around them with a paper towel. If it is damp, or if yoususpect the toilet may be leaking, you can flush a can of colored soda down thetoilet to see if it spreads to the floor area around the seal. Check allbathtubs and sinks to make sure they drain easily, and run the disposal to makesure that it works and sounds right. A loud or irregular sound can cause thebuyer to ask for a new disposal when it only requires the removal of a smallitem of debris. Check the irrigation system to make sure there are no loose orbroken heads. These are often easy to fix yourself. Just unscrew the head andtake it to a home improvement store for help finding a replacement. Whilereplacing a toilet seal or disposal may be a task for many DIY-ers, if it putsyou out of your comfort zone, it’s better to call a plumber to address anyissues before the inspection, instead of after. Check garage door openers to makesure that the safety sensor (which prevents the garage door from closing on acar or person) works properly. Often, a loose wire or pile of boxes can makethe sensor fail to operate. Open all windows three times each to provide forsmooth operation. Windows may be flagged as difficult to operate simply becausethey haven’t been opened in years. If windows have a tilt feature, make surethey operate correctly. Replace any torn or missing weatherstripping. You canbuy this by the roll or strip at a home improvement store, and it is usuallyeasy to push in or install. Make sure that all sliding doors glide open easily. Inspect all crown and trim forseparation from the wall. Recaulk all the cracks and touch-up the caulked areaswith paint. Inspect the caulk in showers and tiled areas in the bathroom. Checkthe grout and caulk for signs of mildew, and use a mildew removing cleanser orgrout cleaner to bring back a fresh appearance to grouted area. Check the wallsfor noticeable gouges or dents and smooth them over with a repair compound ormud and apply touch-up paint. Step outside and look for exterior wood thatshows initial signs of rot. If you find it, caulk and repaint with an exteriorpaint. If the rot has progressed, you may need to call a handyman to replacethe wood. Rotting exterior wood will not only show up on a home inspection, butit may also be flagged by the appraiser, who will require it to be fixed priorto closing. 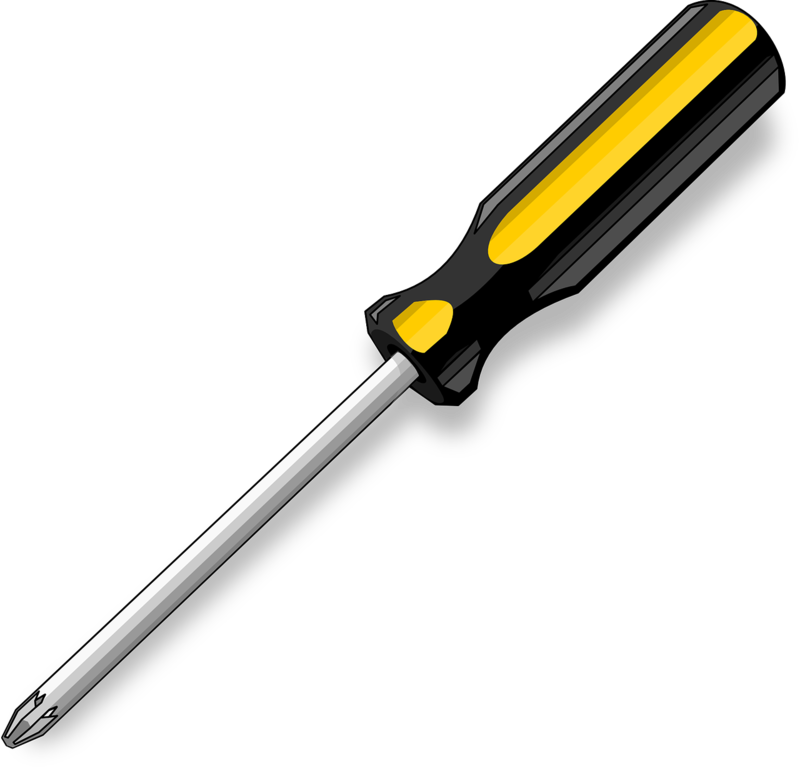 Grab a screwdriver and wrench andtighten up things that are loose, including door knobs, cabinet knobs andtoilet seats. Make sure that all doors open smoothly without dragging thecarpet. It may be that the screws on the interior hinge are loose or missing.Check all the light switches and plugs for missing or loose plates. While youare flipping switches, make sure that all the exhaust fans work and runsmoothly. Don’t forget to check the handles on appliances. Check the outside of your homefor areas that are overgrown by trees or bushes. Home inspectors often suggestthat overgrown shrubs or trees that touch the house be trimmed or cut back.Check the exterior faucets to make sure that they are operational and sweeppatios or sidewalks to remove leaves and piles of brush. Check the gutters forleaves and debris that may prevent them from being operational. Check anybuilt-in grills or outdoor cooking equipment to make sure they light. Checkporches and sidewalks for loose or missing bricks. Safety comes first, so calla professional if you need a tall ladder or help. 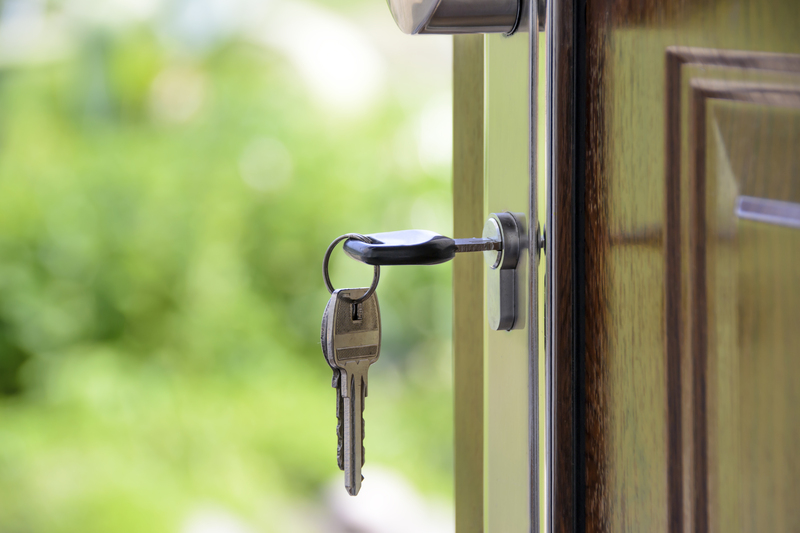 Make sure that you leave the homeinspector keys to all items that might be locked, such as attic access doors,storage closets or an electrical panel. Home security or communications panelsand irrigation system control boxes may also be keyed. Stick the key in thekeyhole or provide a ring of marked keys. Leave keys for all doors so that thedeadbolts and knobs may be tested. If you have manuals and repair ormaintenance documents for appliances or mechanical systems, place them in afile or a 3-ring notebook. You’ll want to collect these to pass them on to the newowner. Many of the suggestions aboveshould be followed prior to placing the home on the market as they improve theappearance of the home, attracting buyers. Continuing to maintain these itemsduring the listing period will make the days between going under contract andwelcoming the home inspector a bit less stressful. And if you are wondering if you really need a home inspection, check out our previous article: Do I Really Need a Home Inspection?